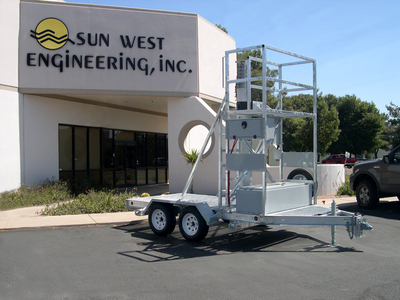 Sun West keeps an inventory of commonly requested items ready for immediate shipment should our customers need something in a moments notice.We stock multiple solutions for Cell On Wheels (COWS) and Cell On Light Truck (COLT). Available now for imediate delivery is a 15' Mini-COW. They are designed to provide an industry standard platform to accommodate customer equipment and/or equipment cabinets. 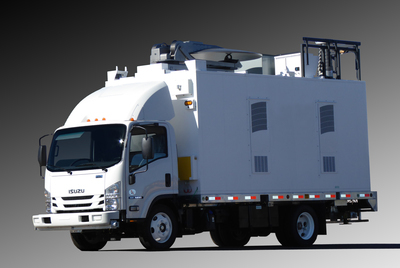 The cabover COLT was developed to meet the needs of those whose requirements are more than what a van solution can offer. This cabover design offers increased weight carrying capacity in a small package. This van offers up to 19,500-lbs GVW vs. the Sprinter van's 11,030-lbs GVW. The manuverability of this truck is better than that of comparable sized vans due to the short wheelbase and tight turning radius of the cabover design. This makes for a perfect inner-city solution. 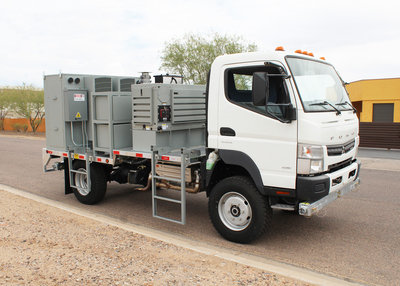 Available for immediate delivery is our 4x4 Cabover COLT, This COLT was developed to meet the needs of First Responders and Carriers needing the off-road capability of a 4-wheel drive cell on wheels. 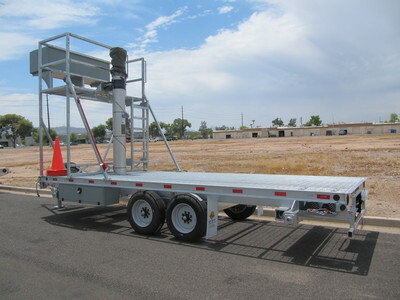 Available now is this 20' COW trailer. It is designed to provide a standard platform to accommodate customer equipment and/or equipment cabinets.